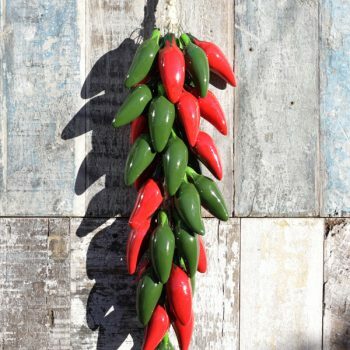 Ceramic chillies on a Jute string (ristra). 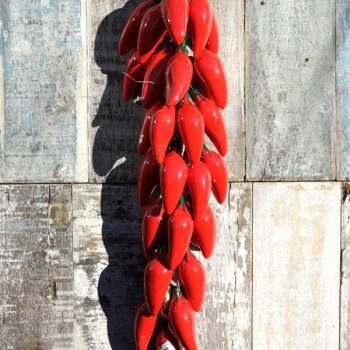 These are authentic Mexican quality ceramics that we import ethically, we have been trading with Mexico since 2001. 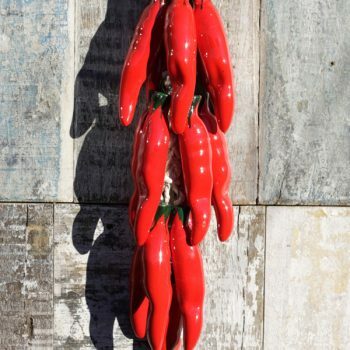 They bring a joyful vibrance to any kitchen or a great gift. 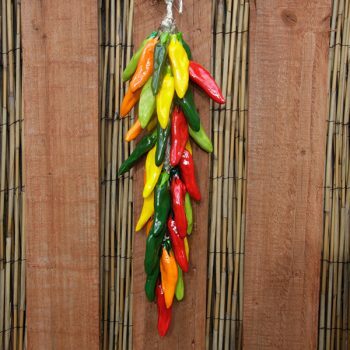 Each string has approximately 20 individual chillies and the length of the whole ristra is 35cm. 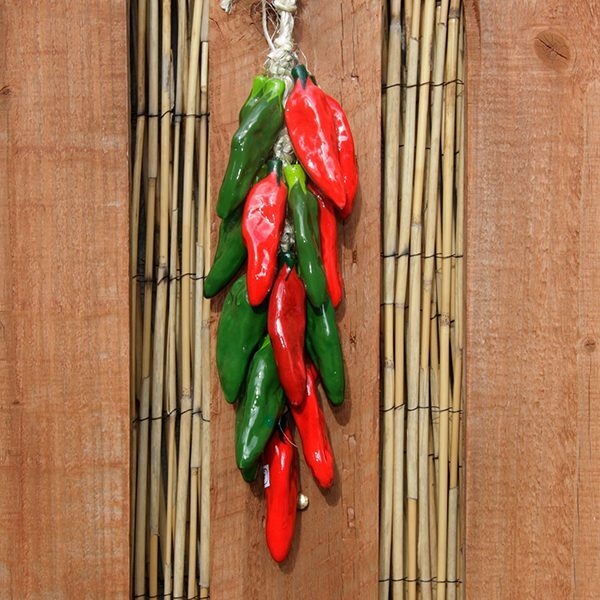 The individual chillies measure 8 cms each.